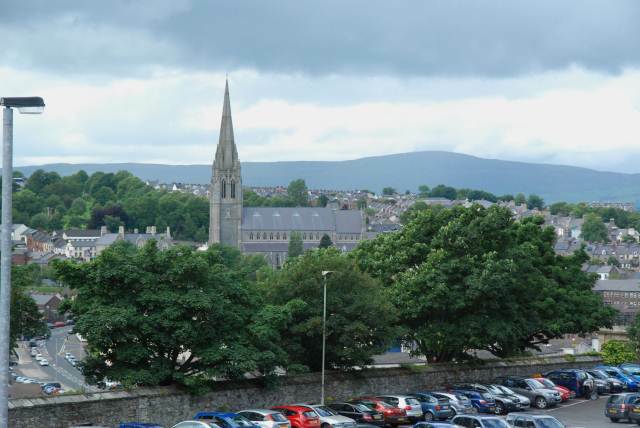 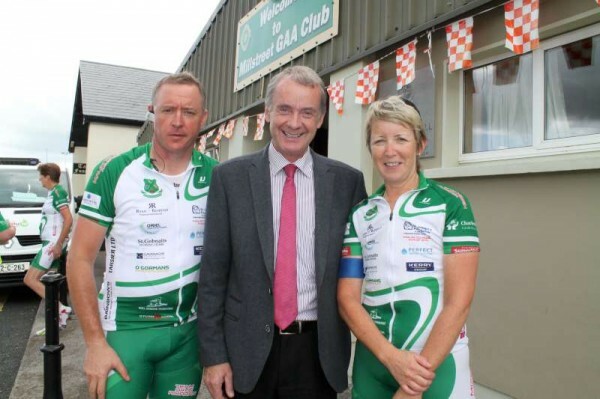 The video above is an interview with three people below – Maurice Riordan, Tadhg O’Flynn, and Maura O’Sullivan. 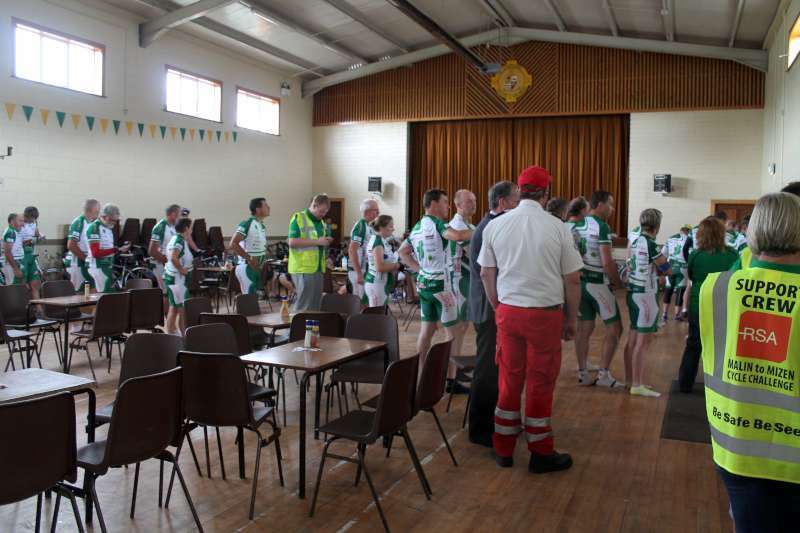 The 7min. 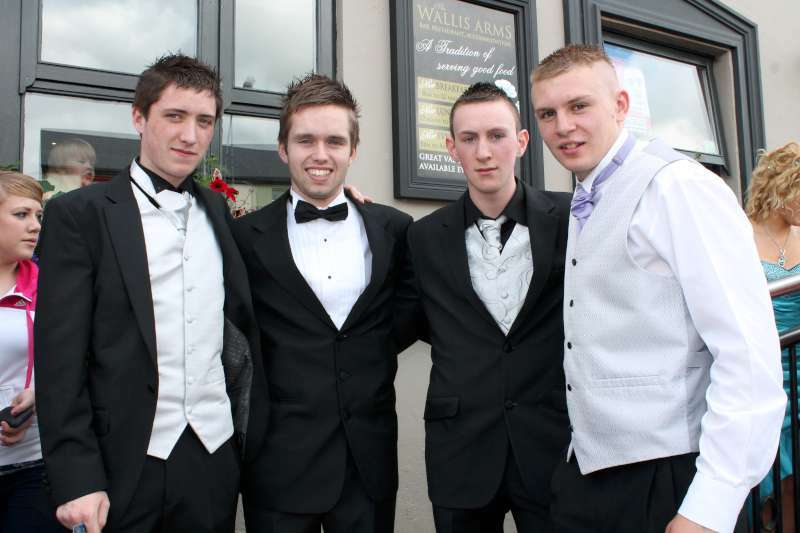 46 sec. 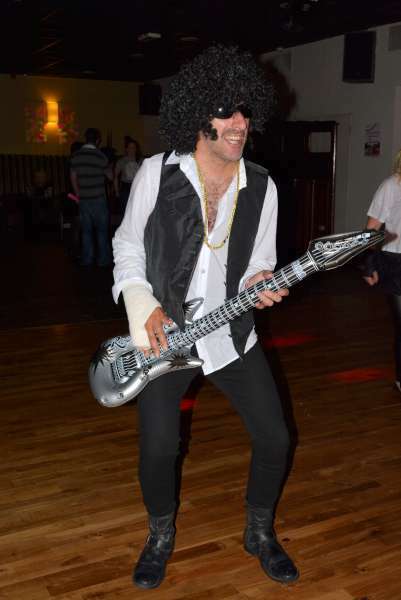 video may now be viewed by clicking on the link. 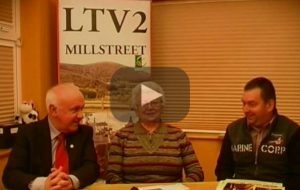 Already some 36 people have viewed the video interview – less than 24 hours since it was uploaded! 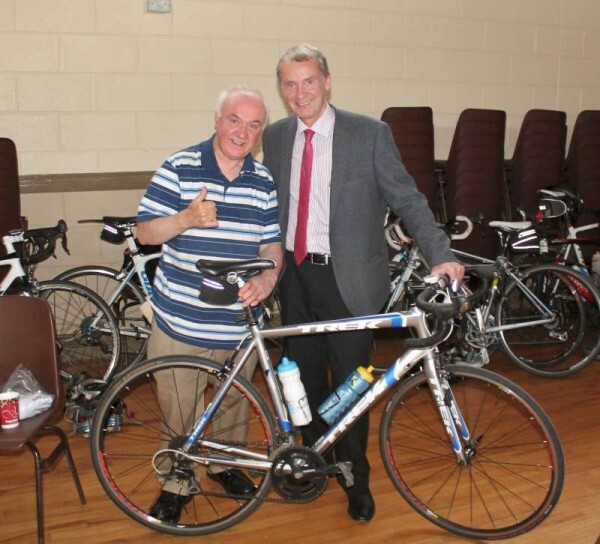 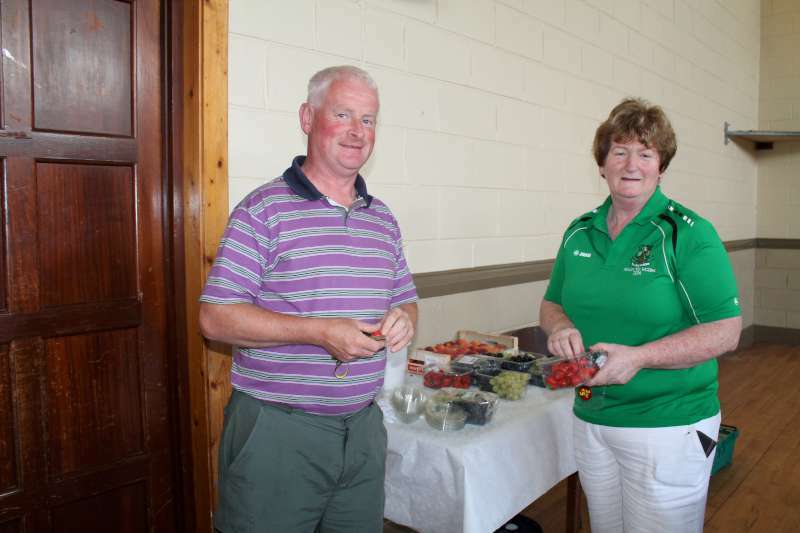 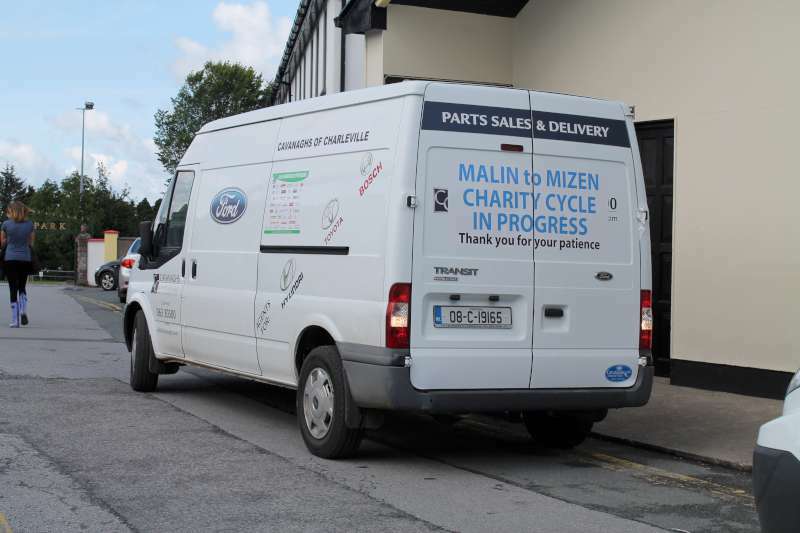 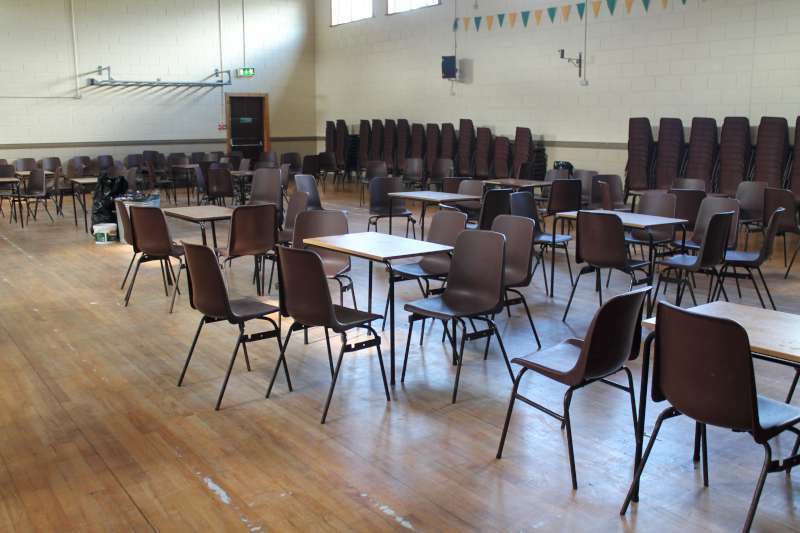 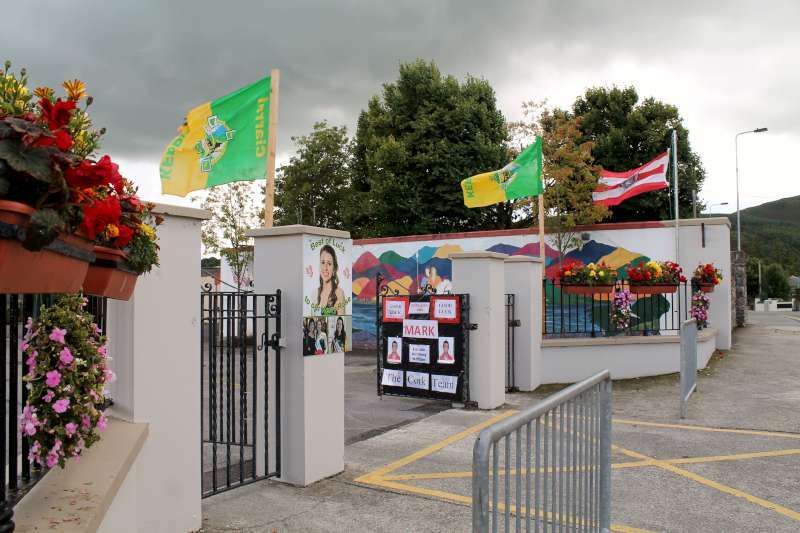 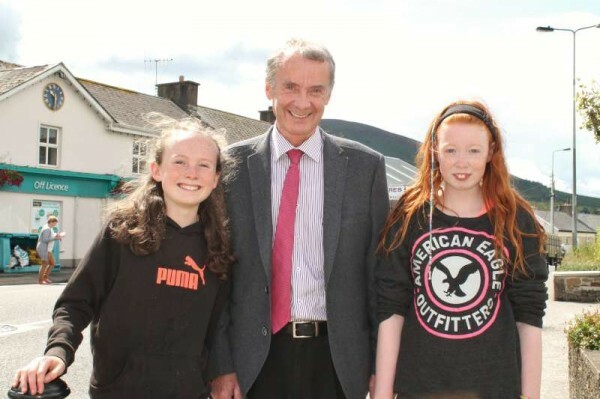 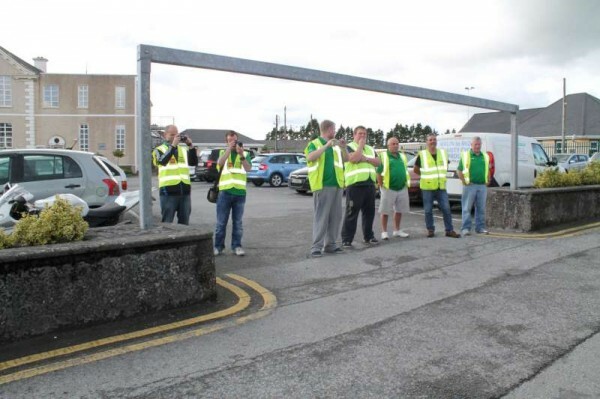 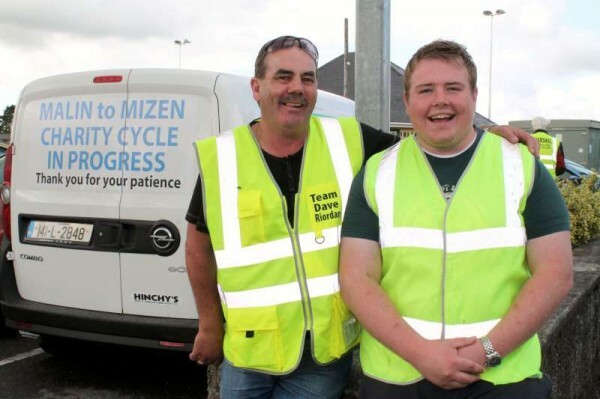 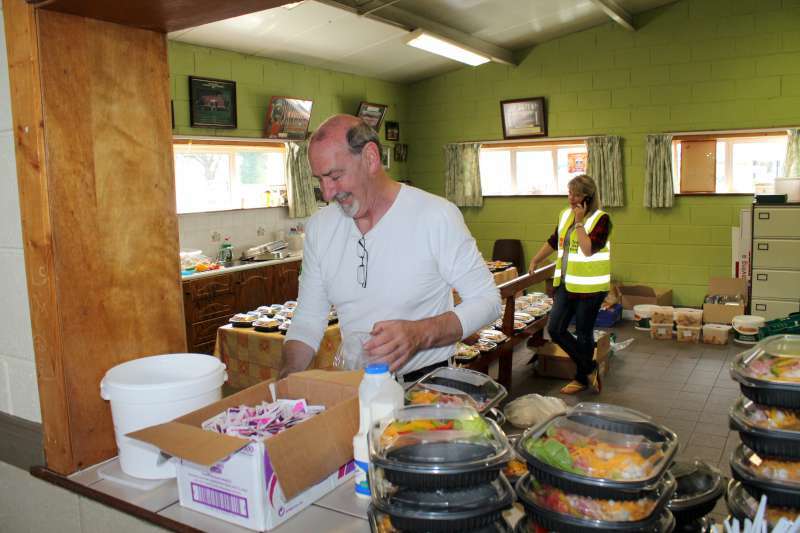 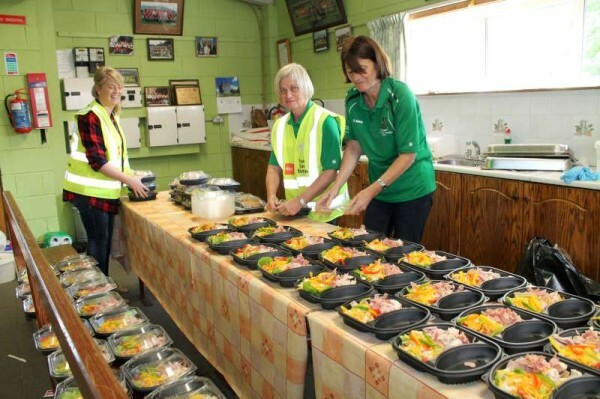 Maurice Riordan (pictured on left of Tadhg in second image) addressed the assembly of over 100 people in praise of Tadhg’s greatly appreciated sponsorship of the Millstreet meal. 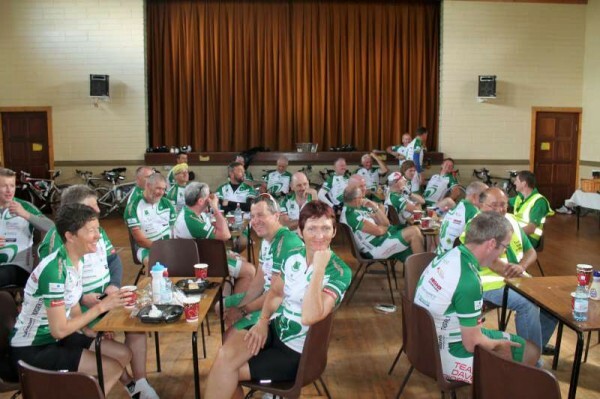 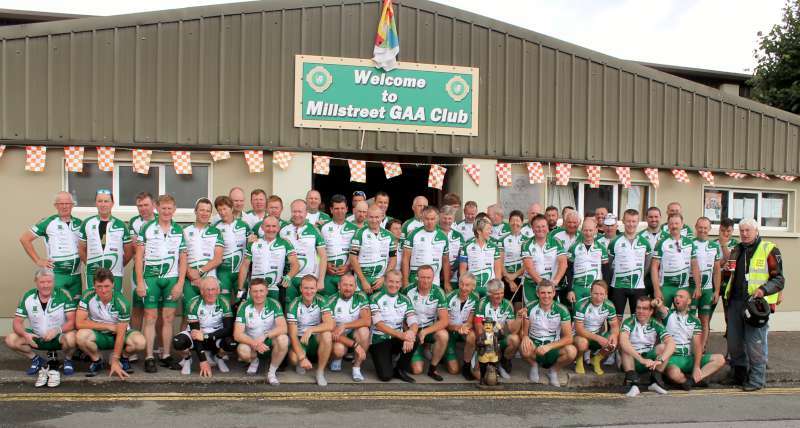 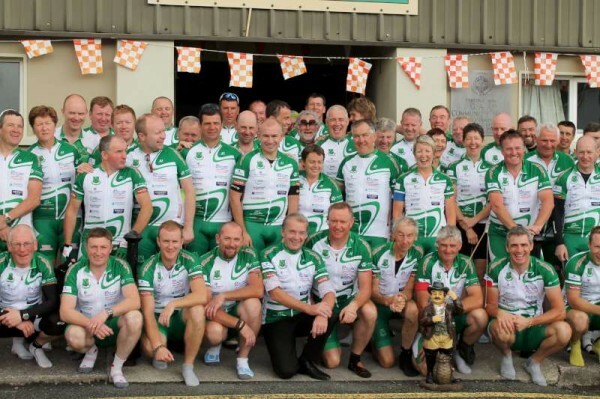 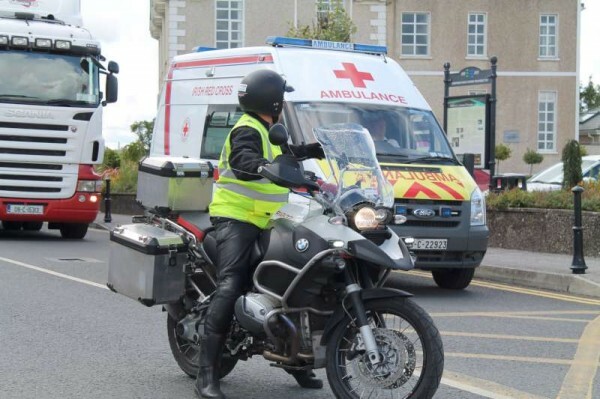 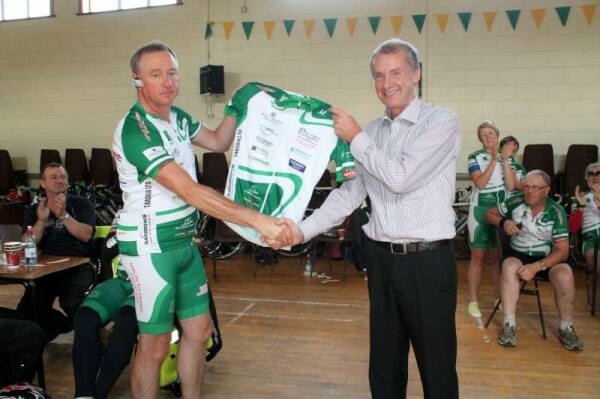 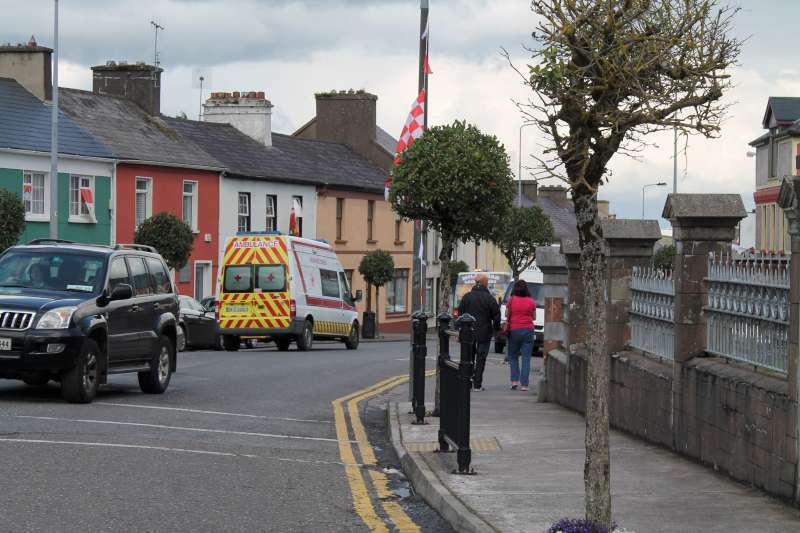 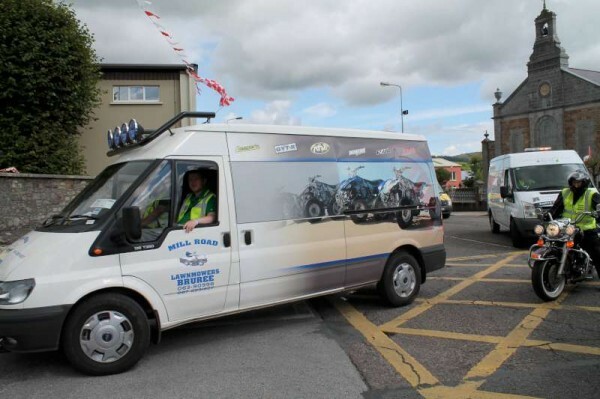 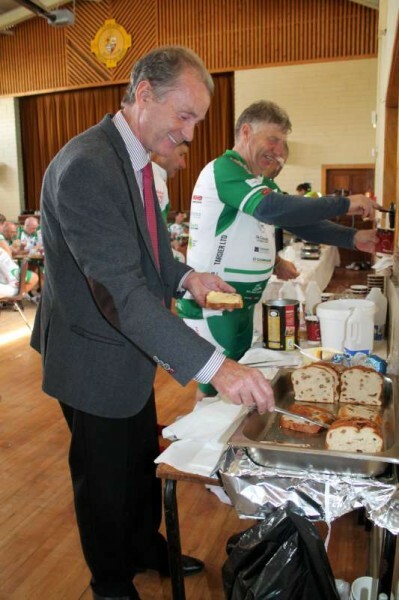 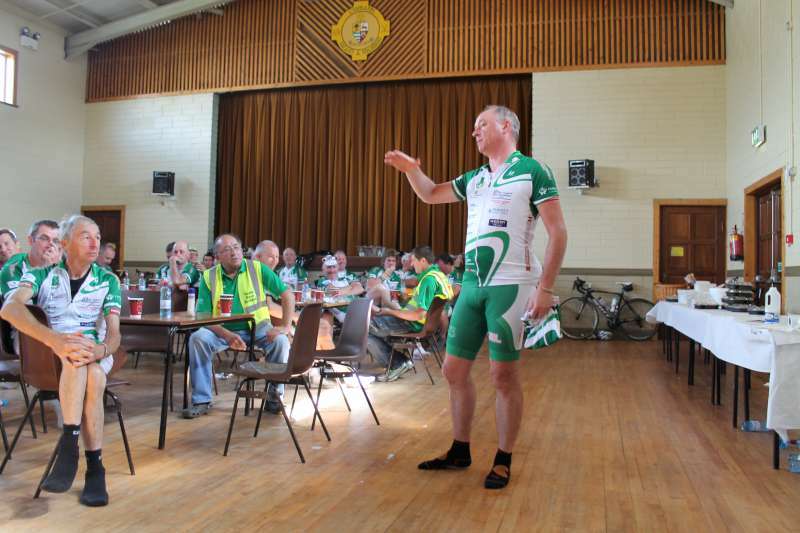 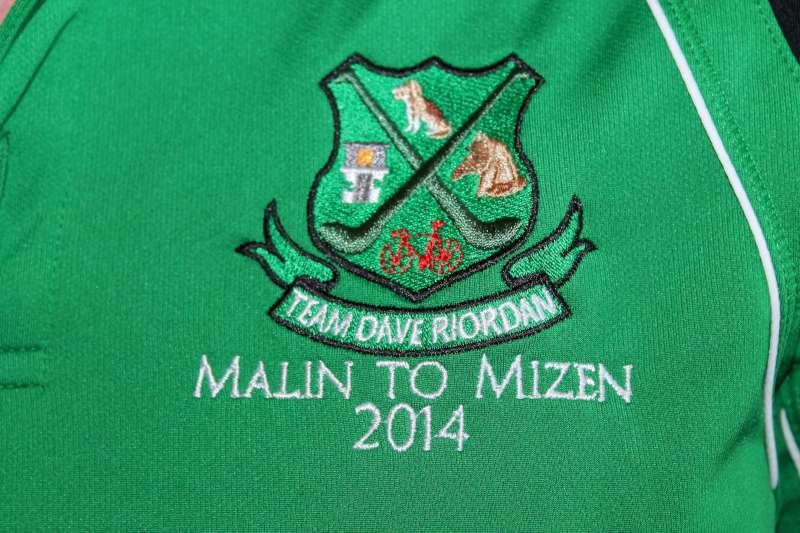 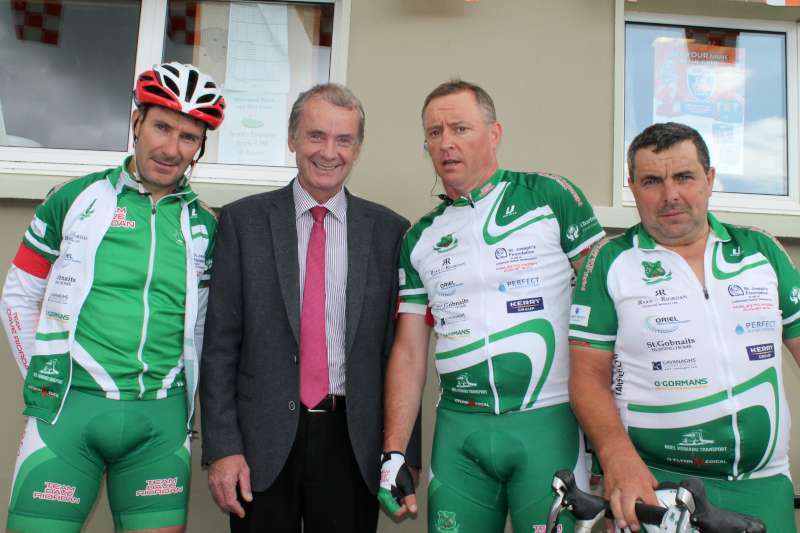 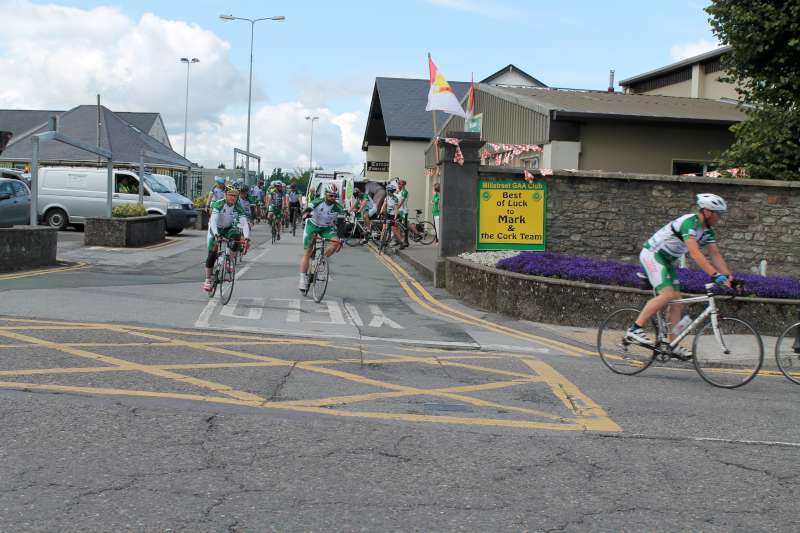 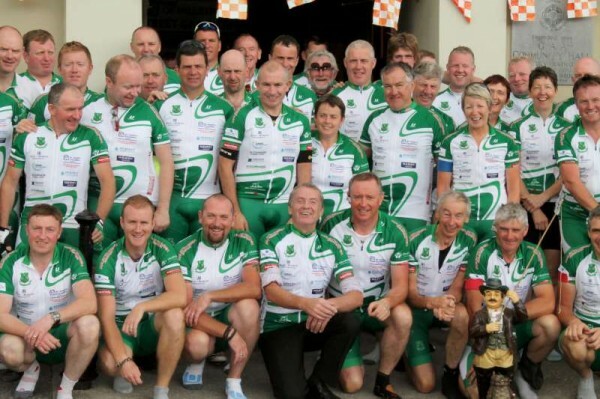 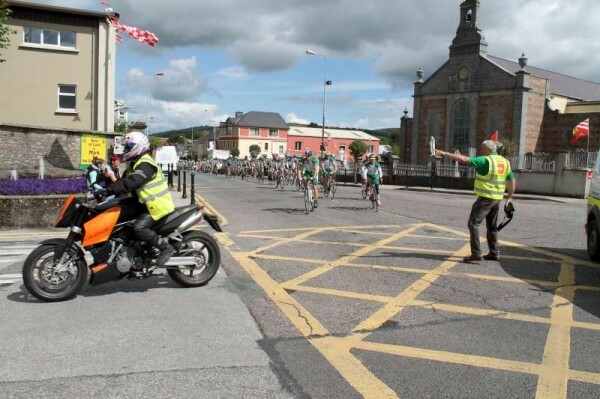 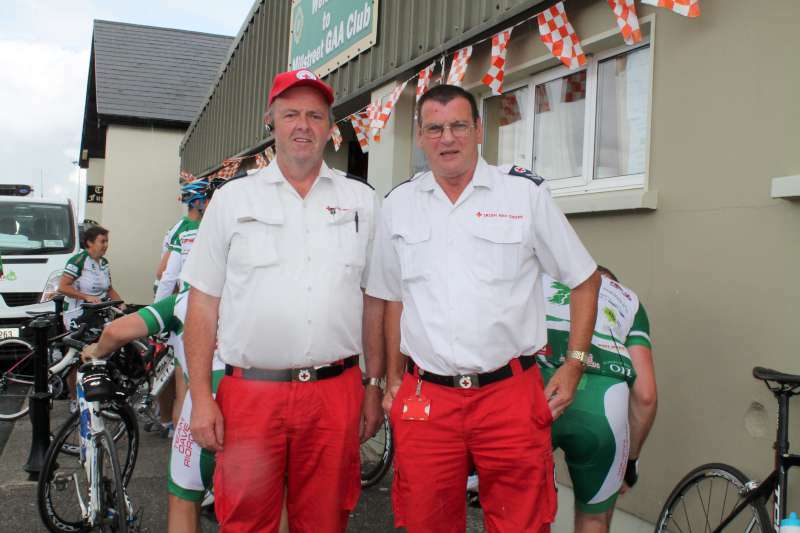 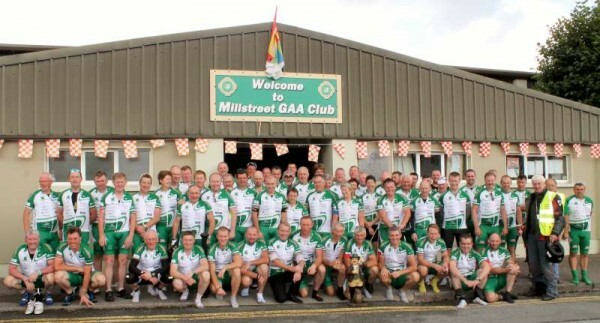 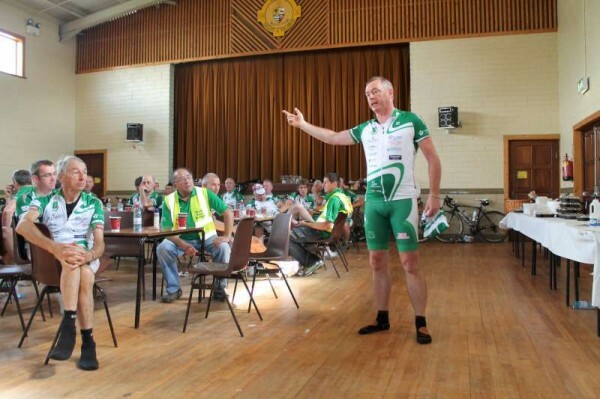 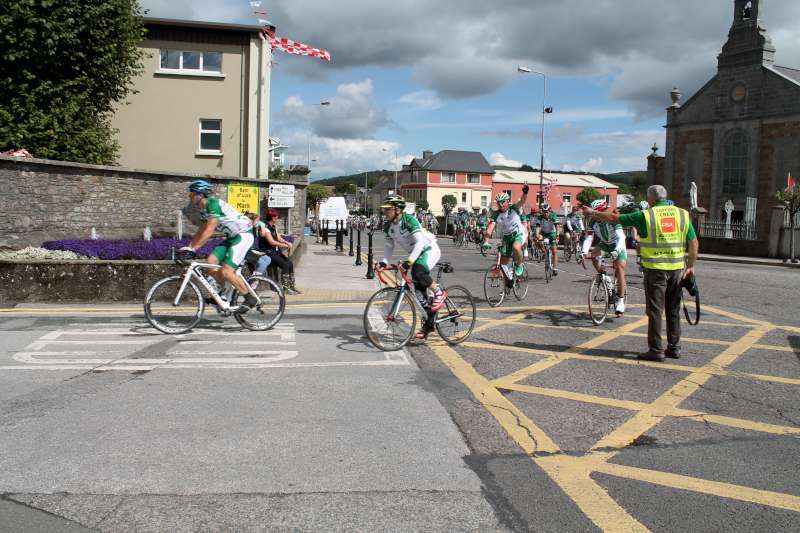 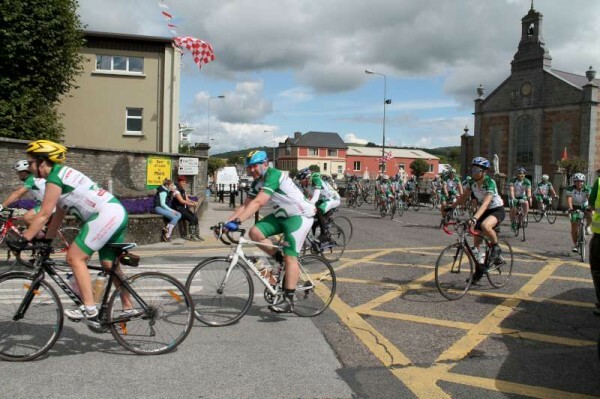 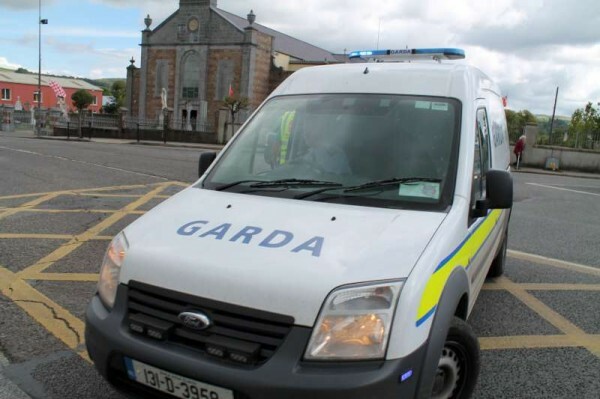 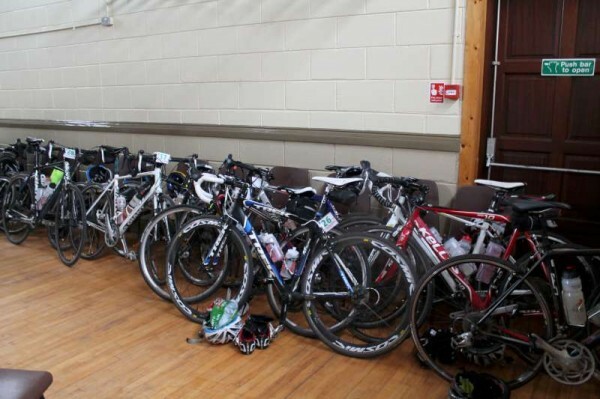 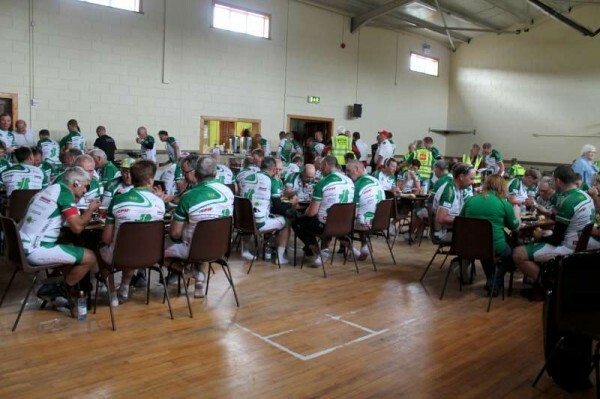 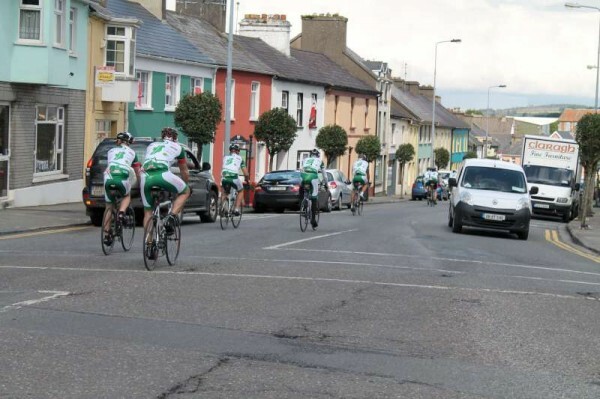 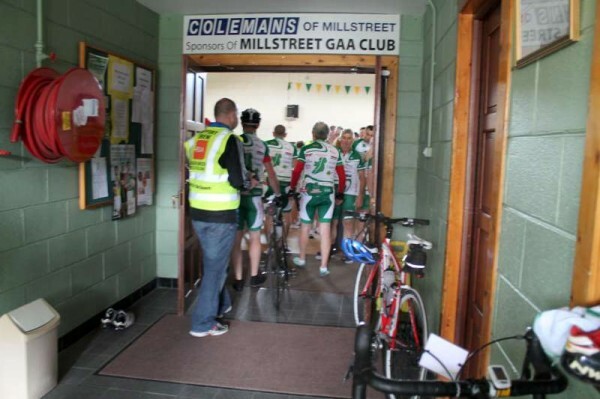 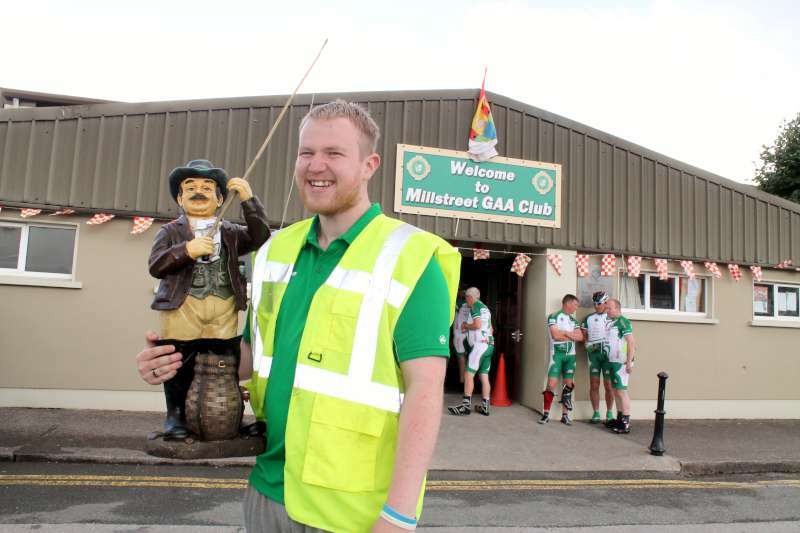 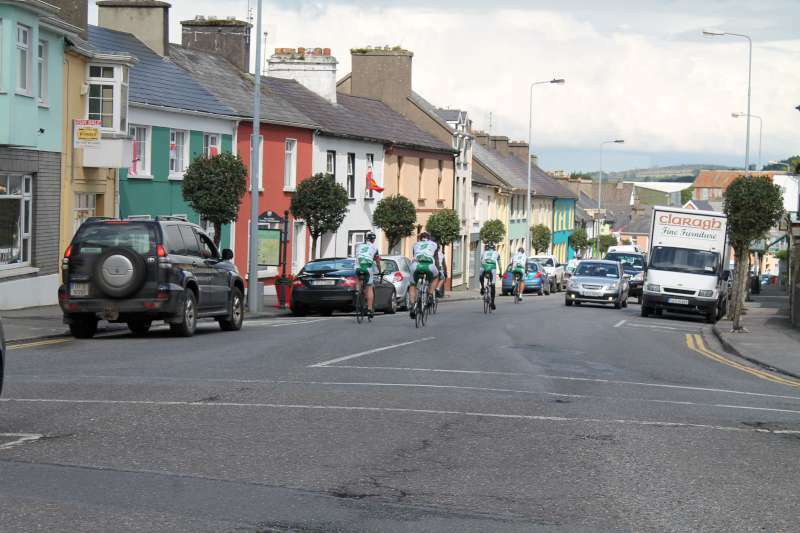 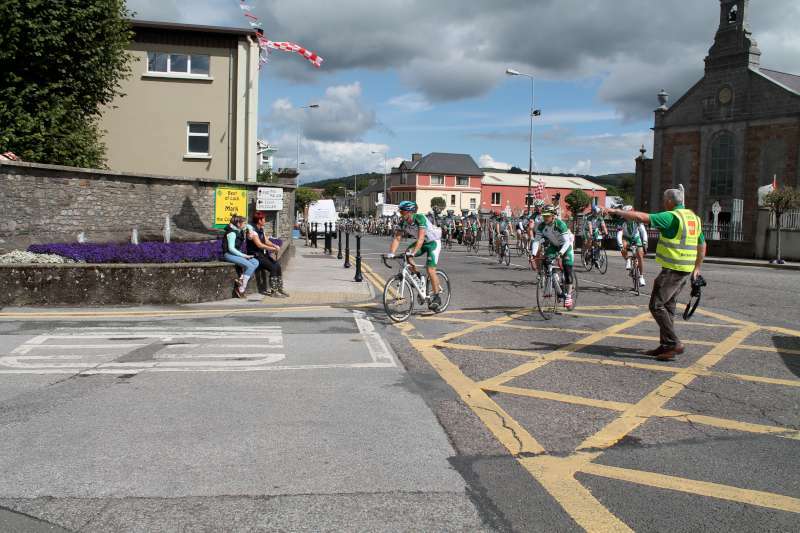 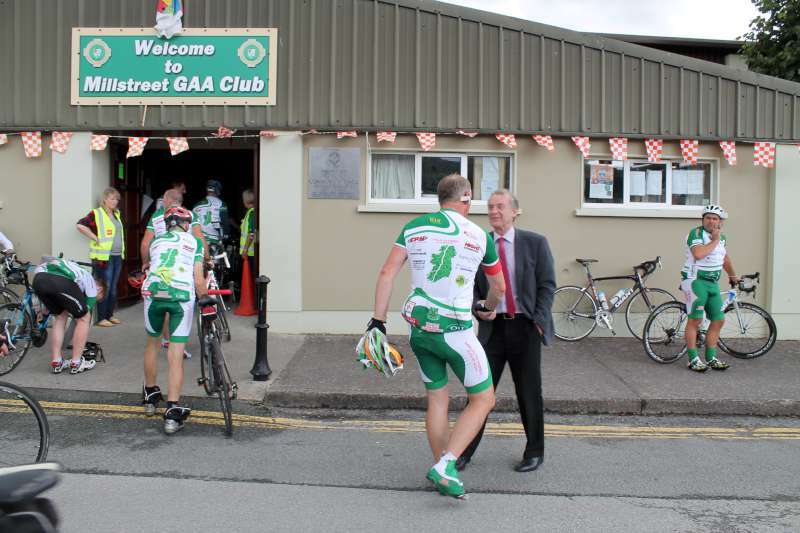 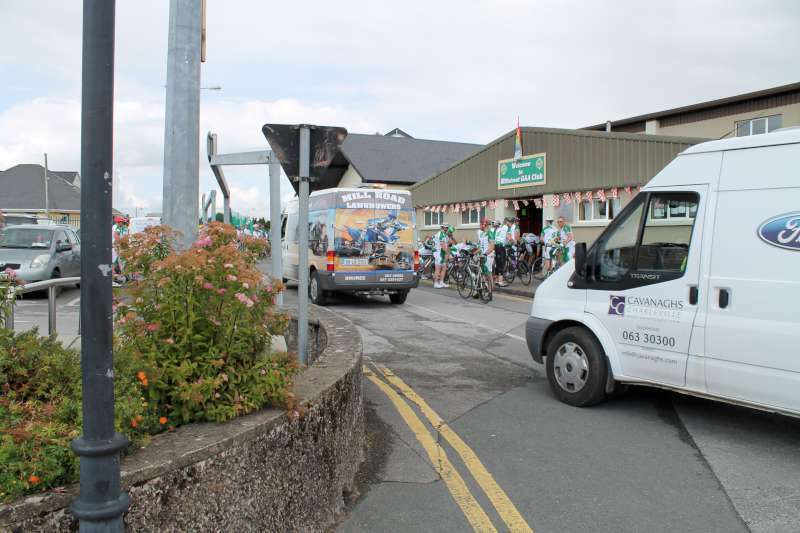 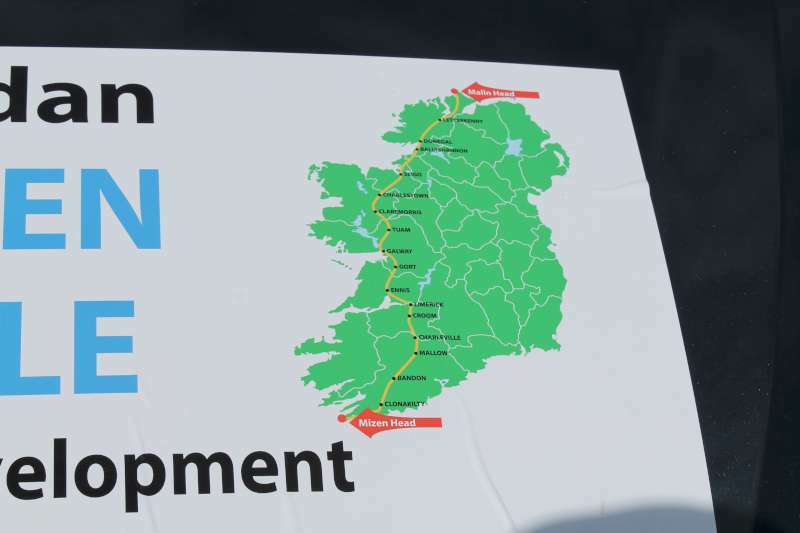 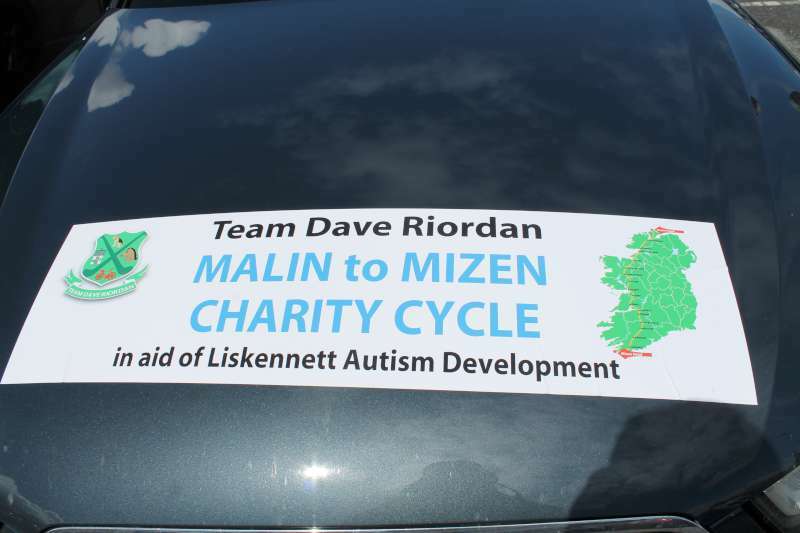 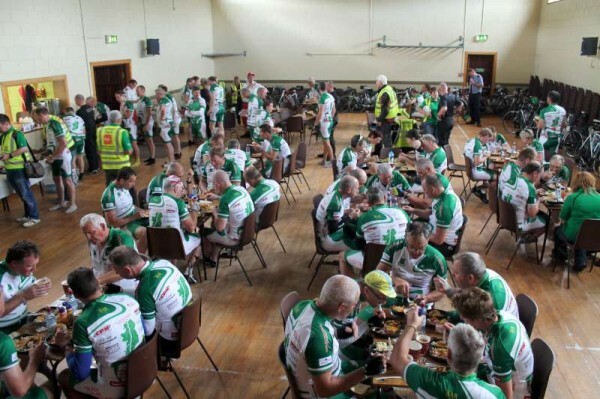 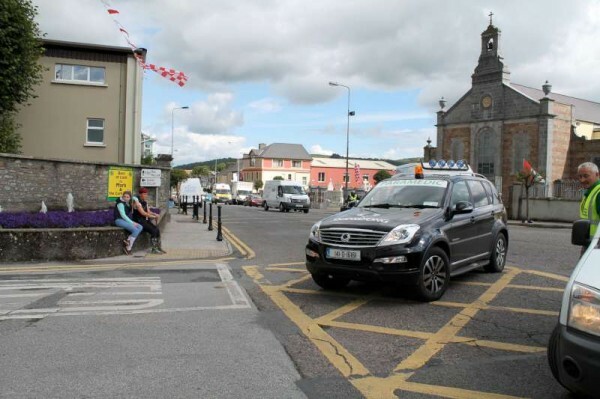 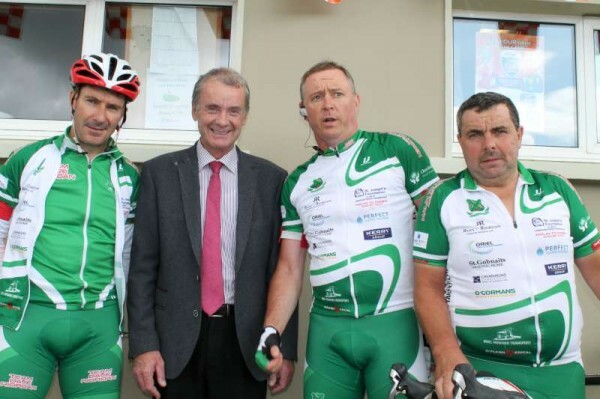 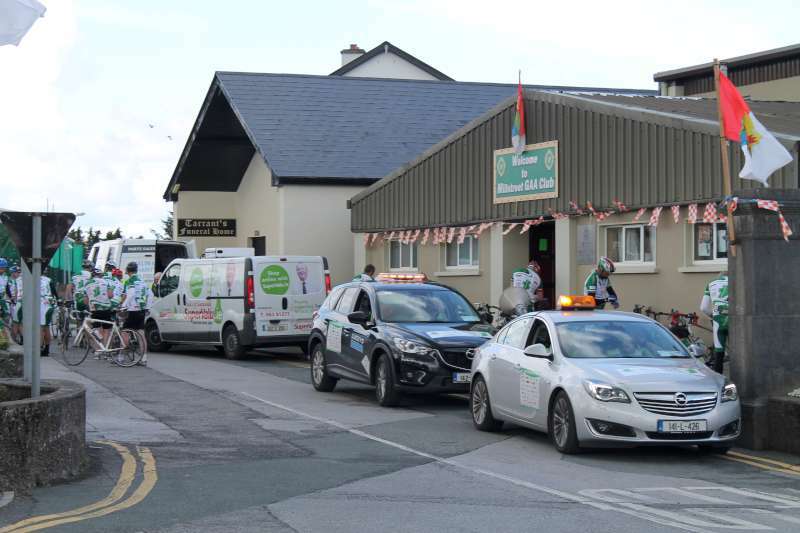 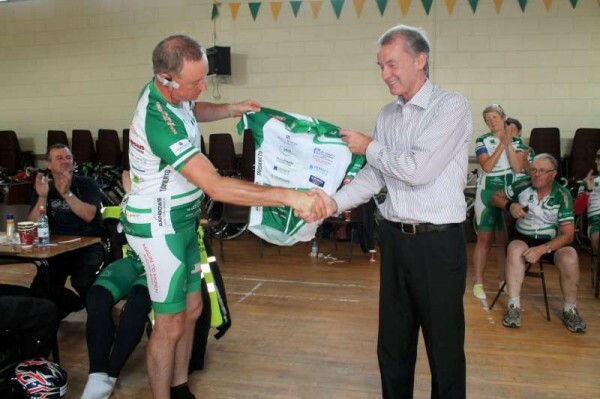 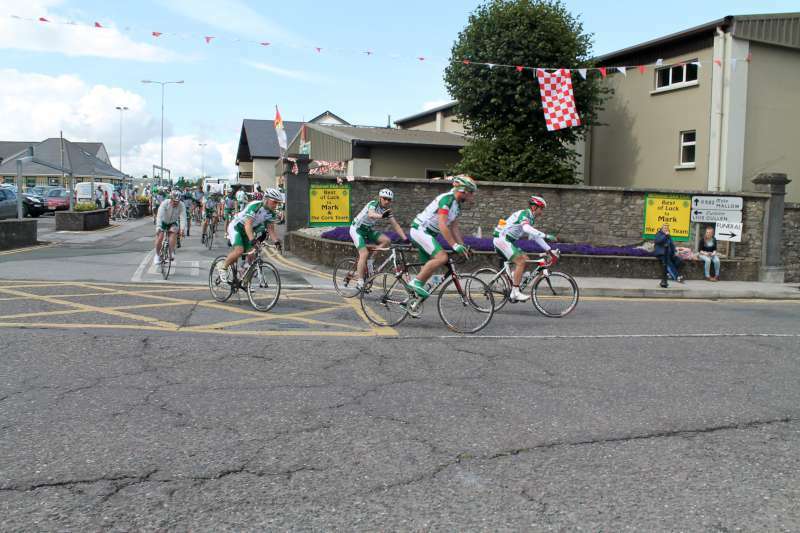 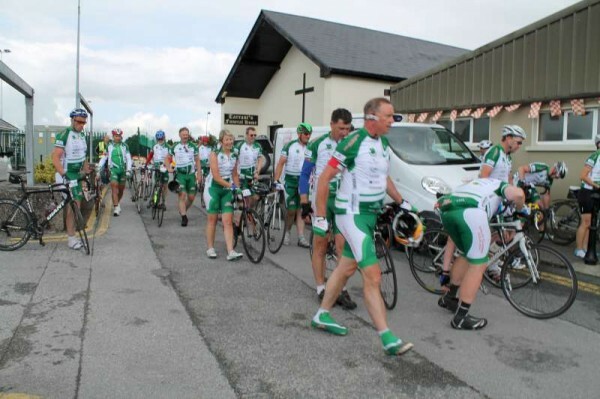 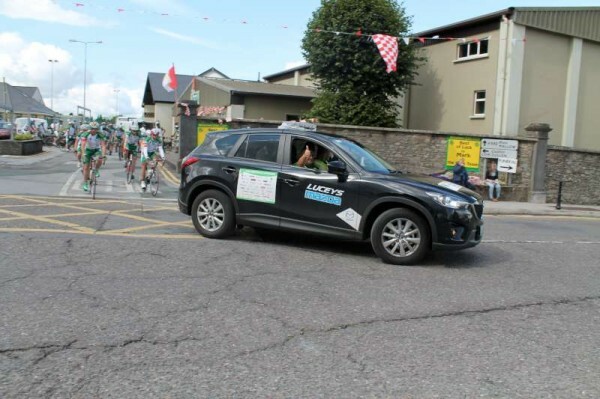 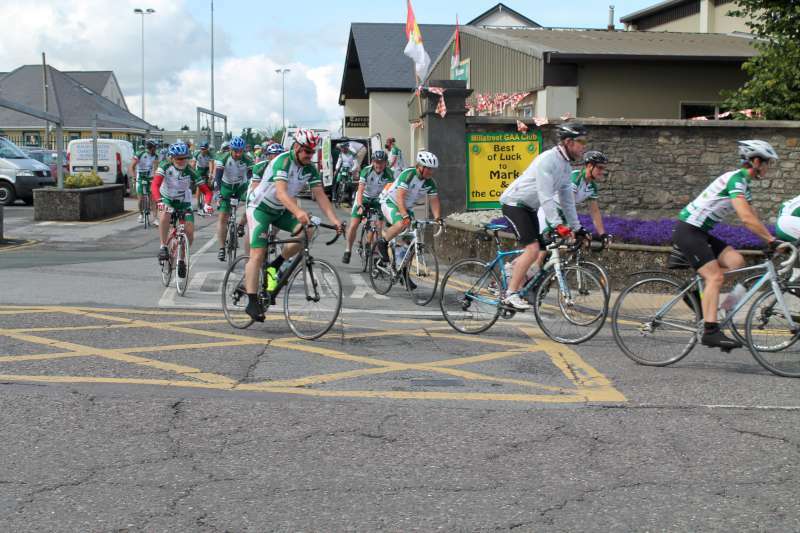 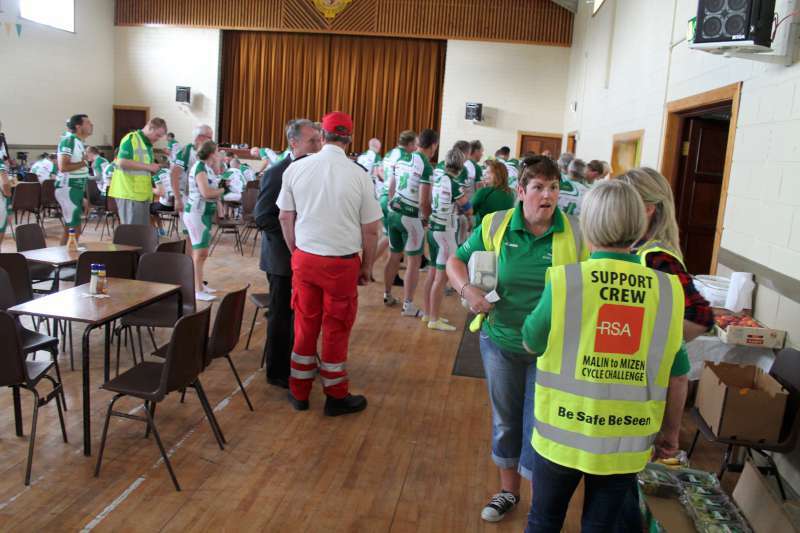 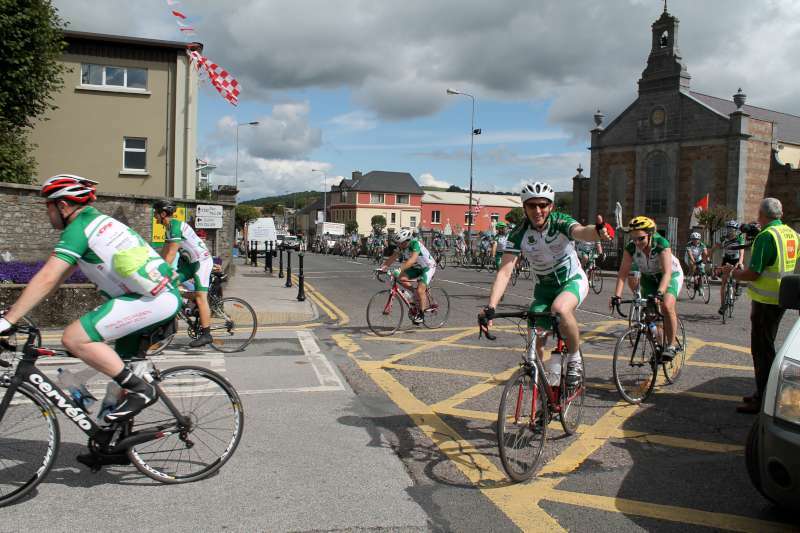 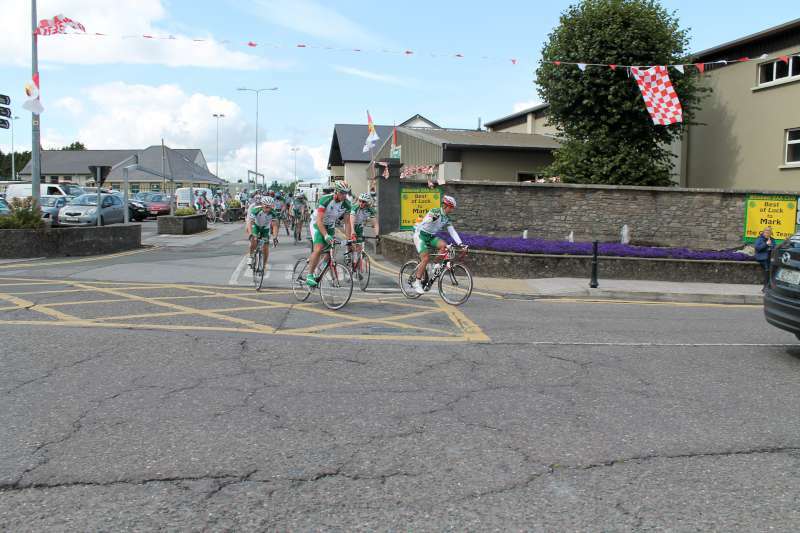 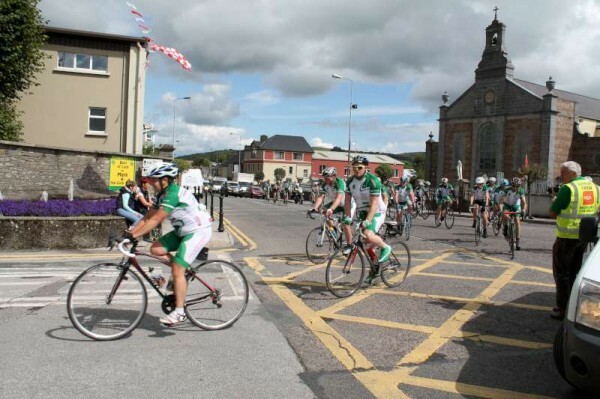 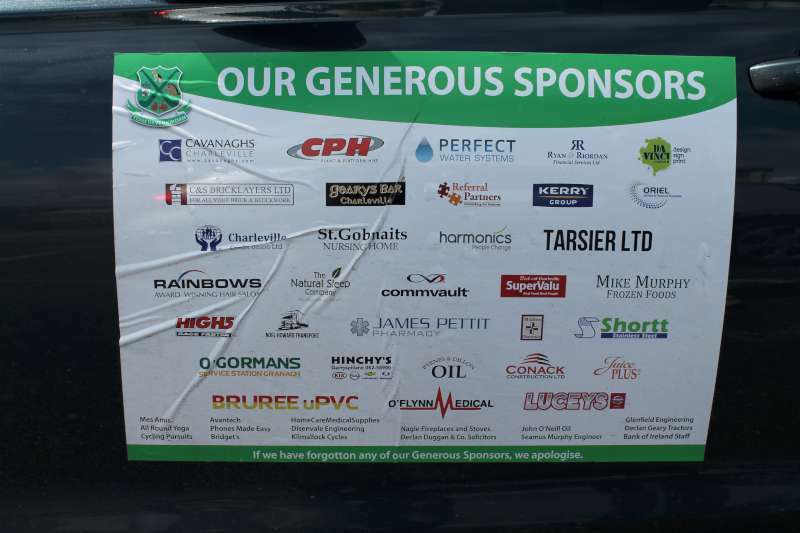 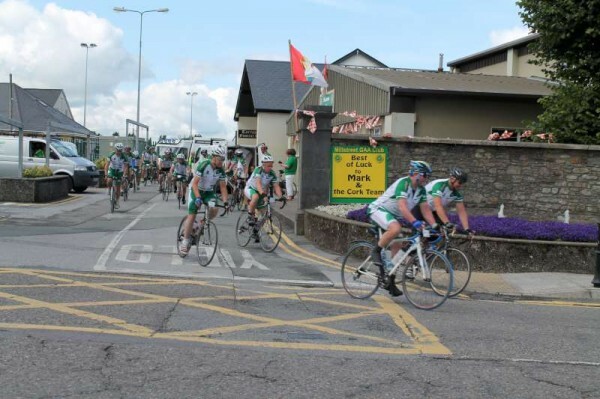 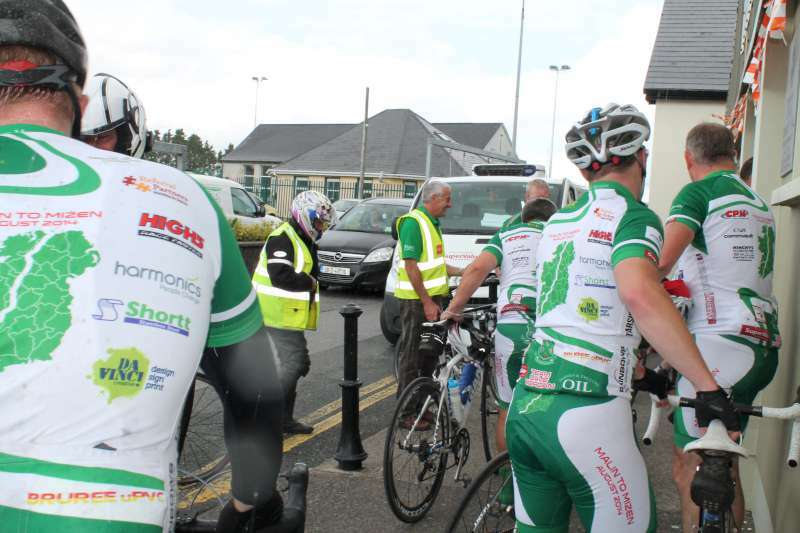 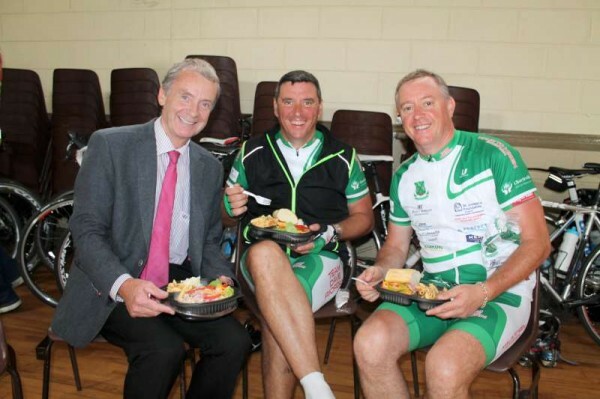 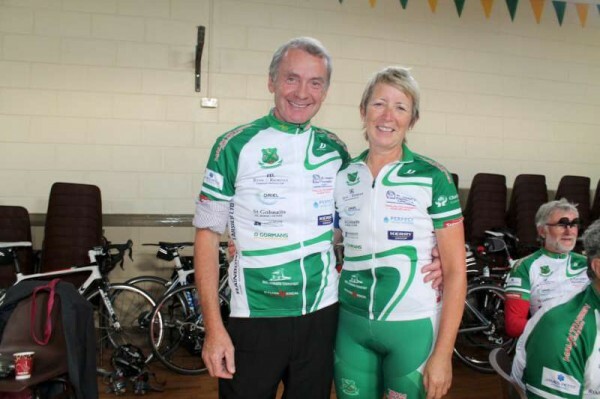 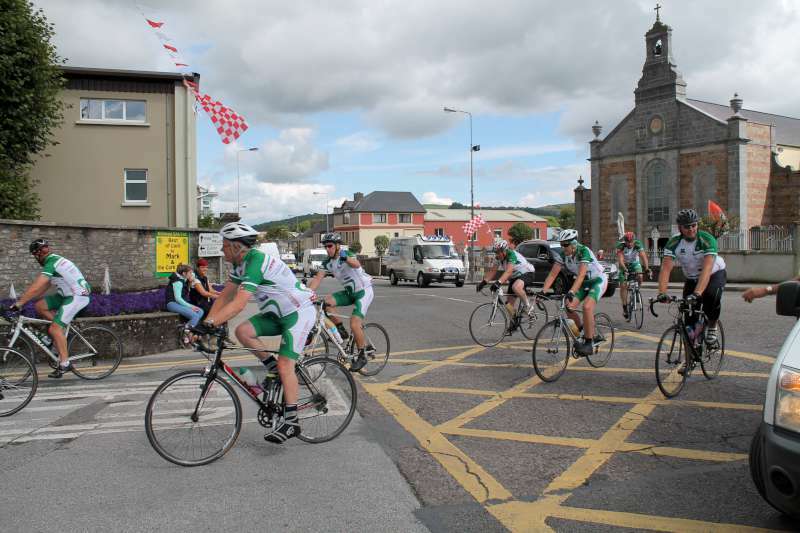 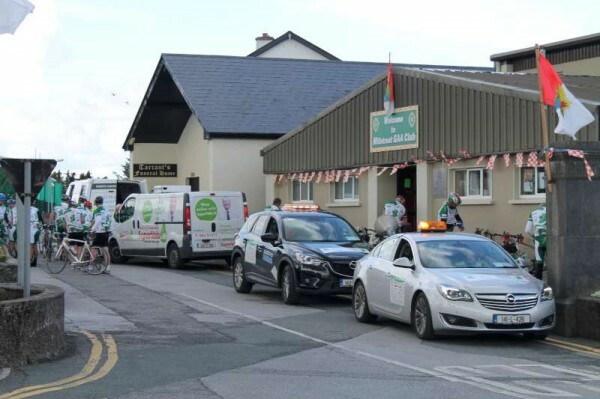 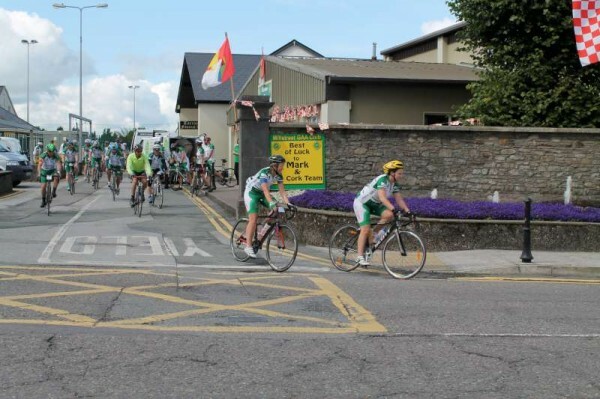 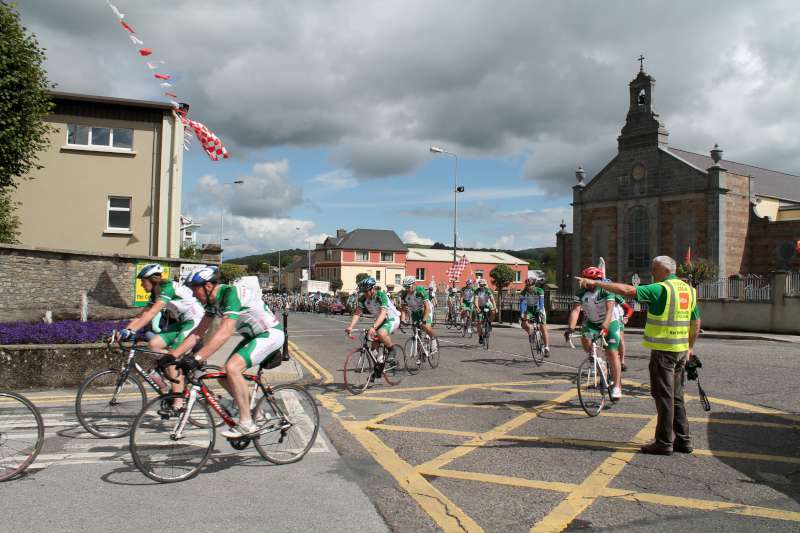 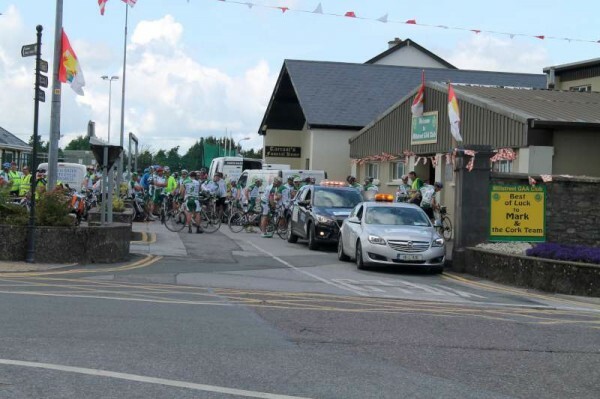 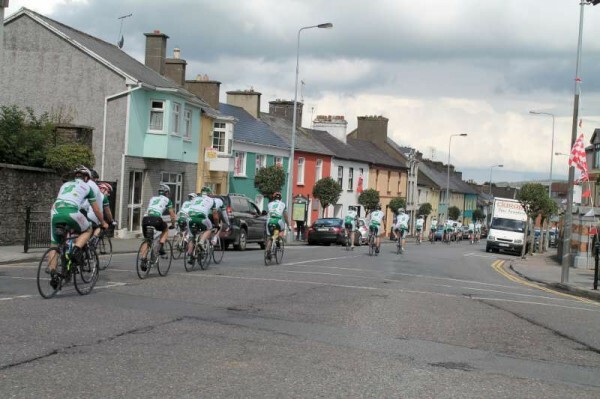 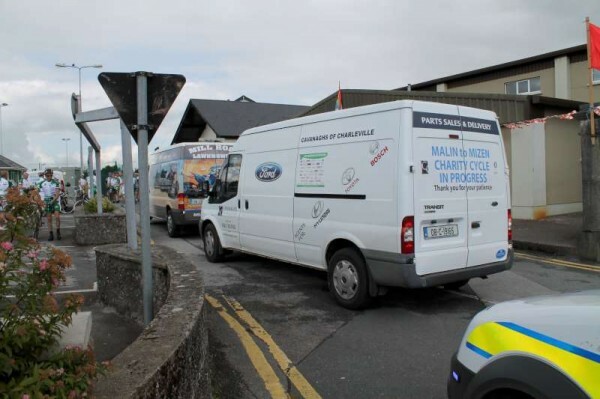 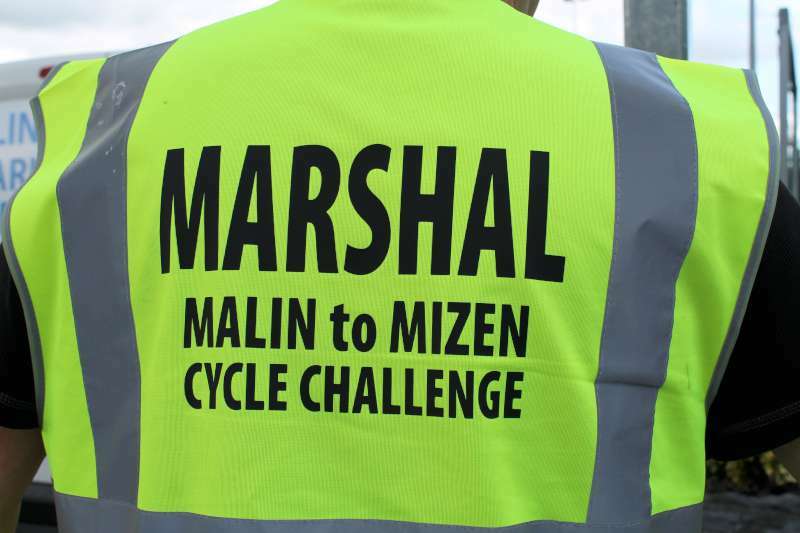 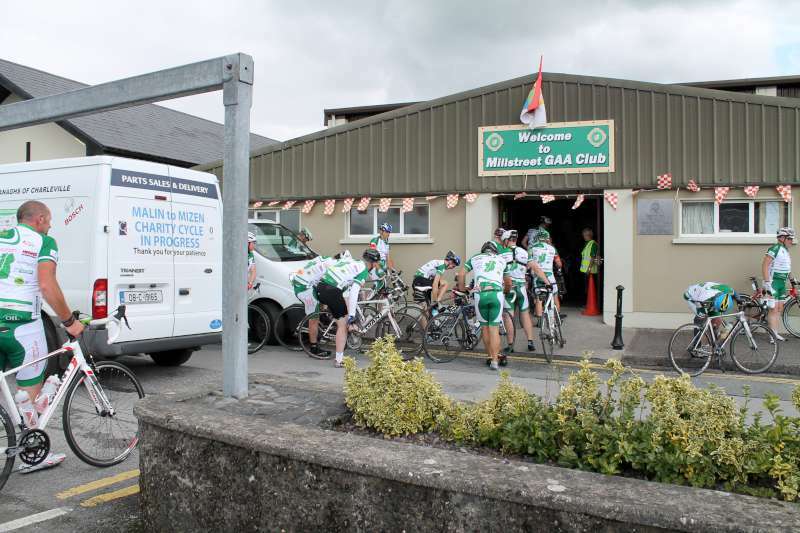 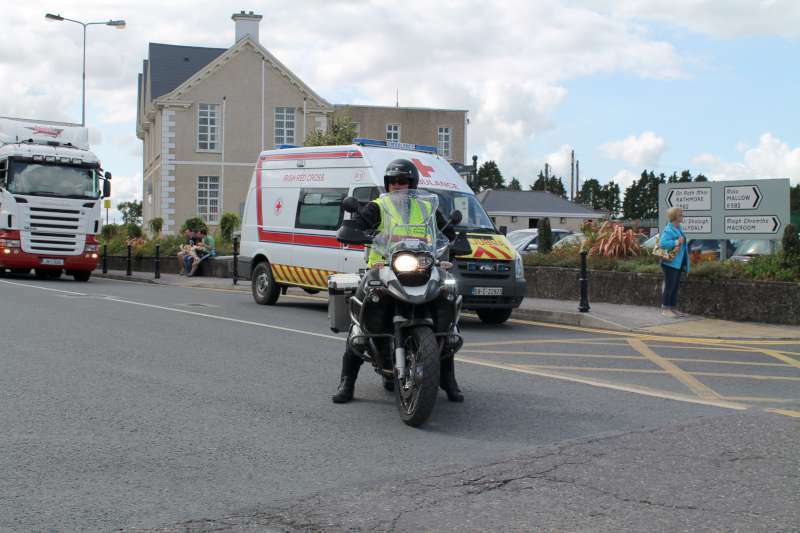 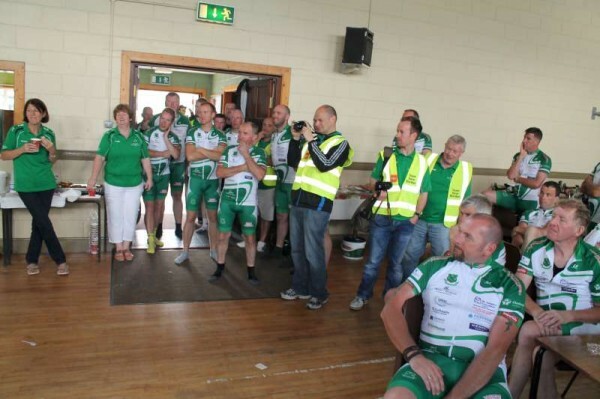 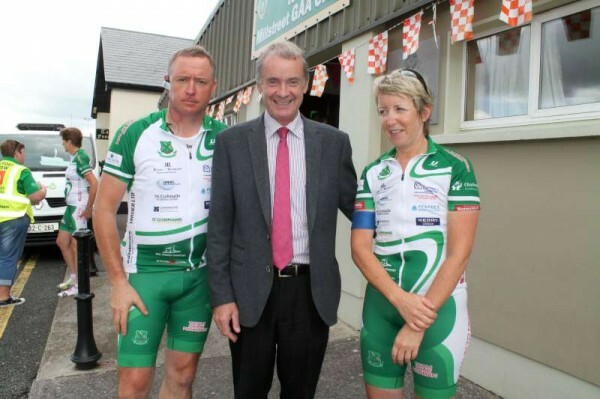 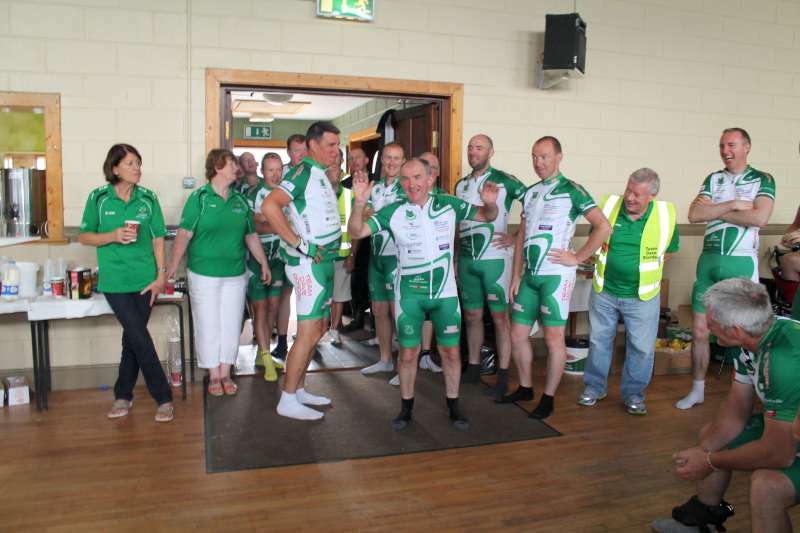 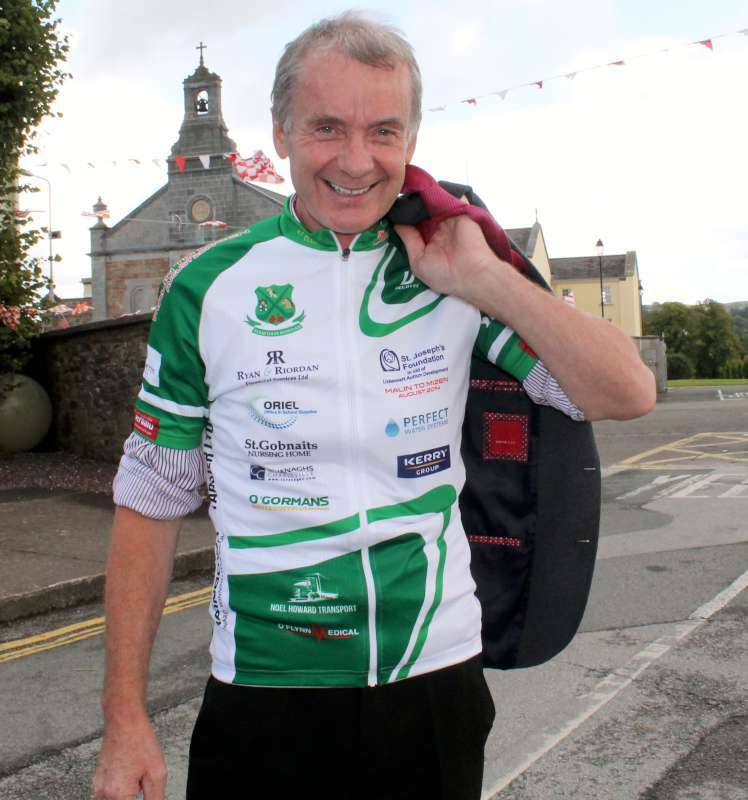 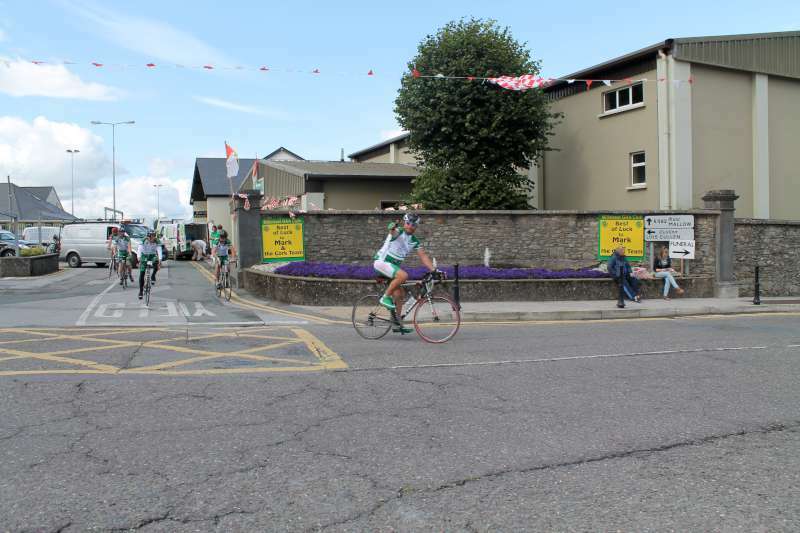 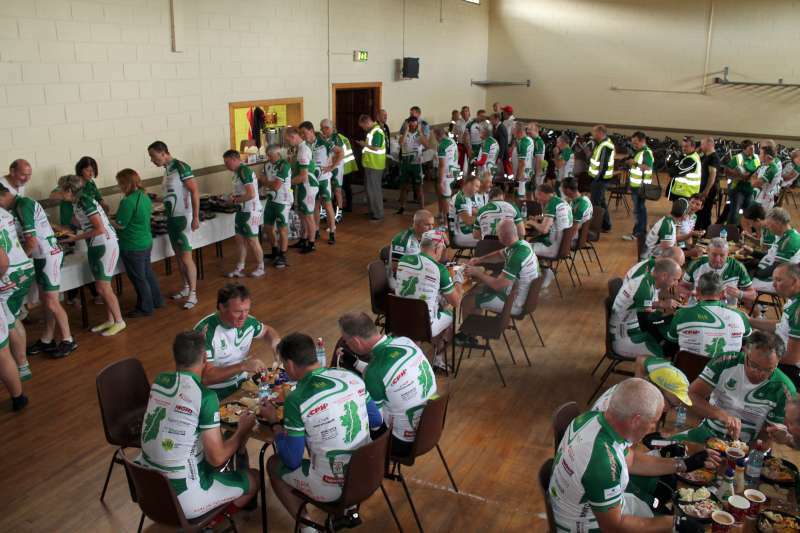 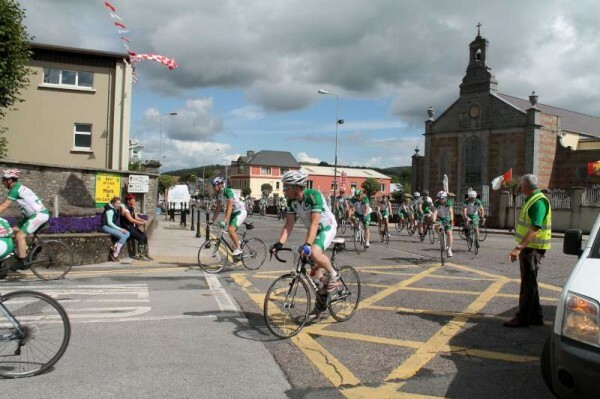 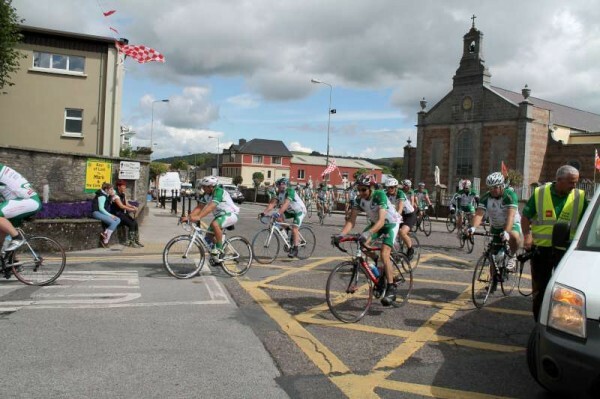 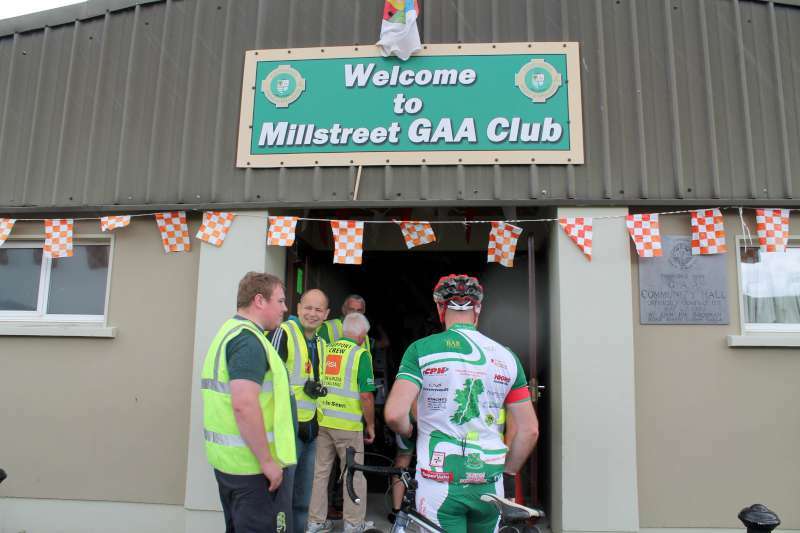 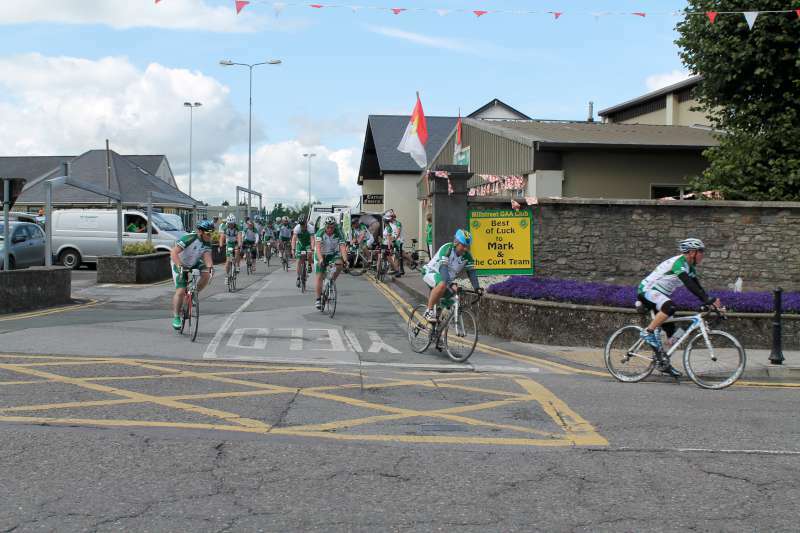 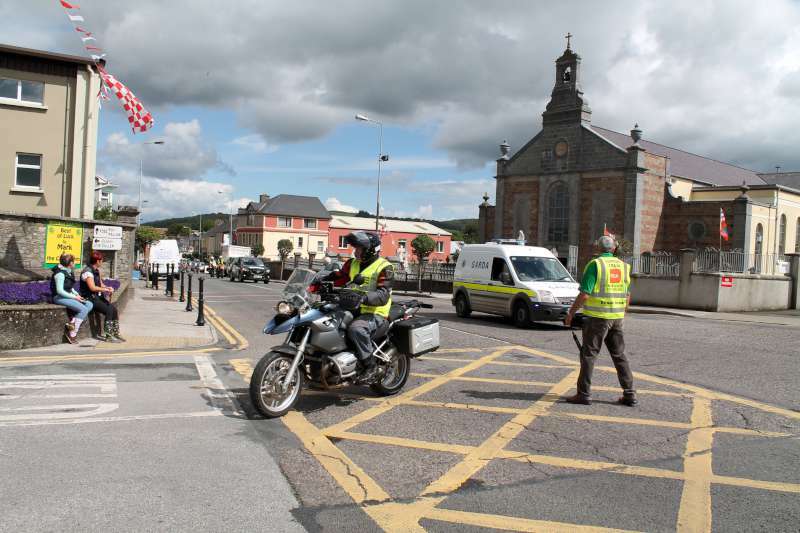 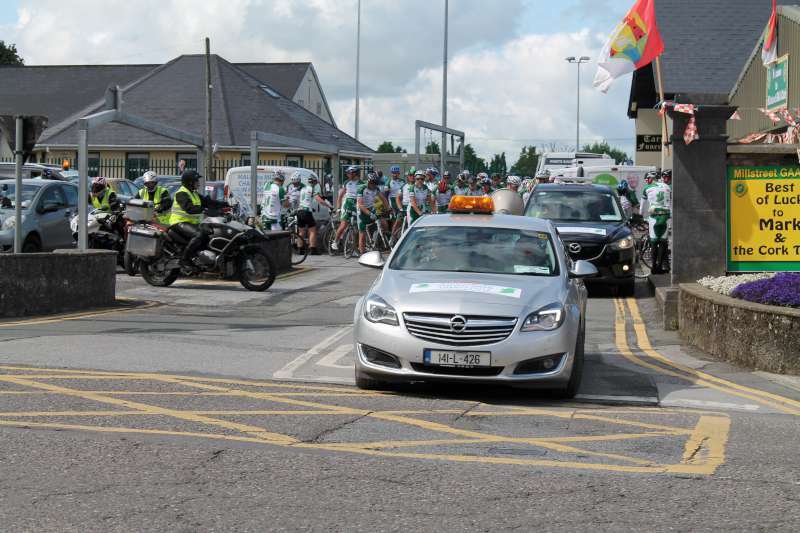 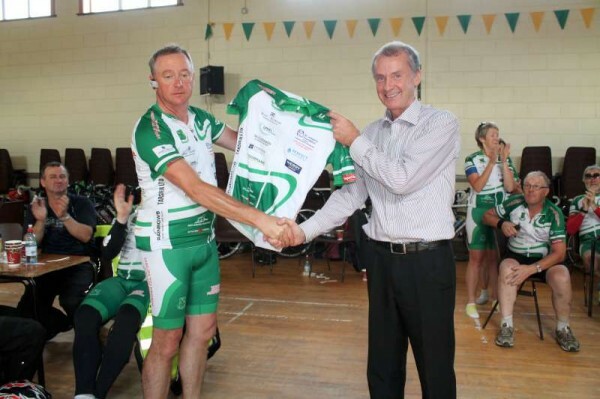 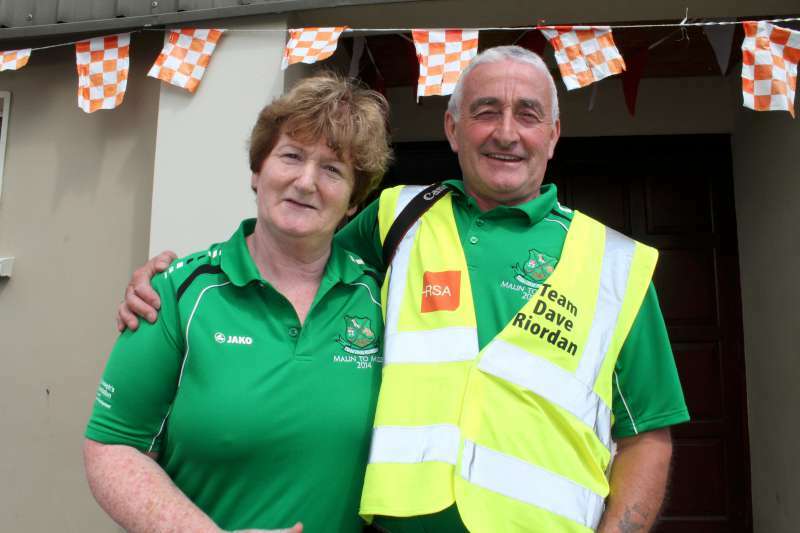 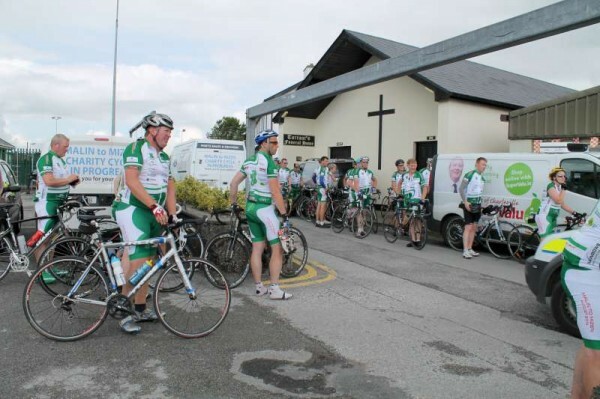 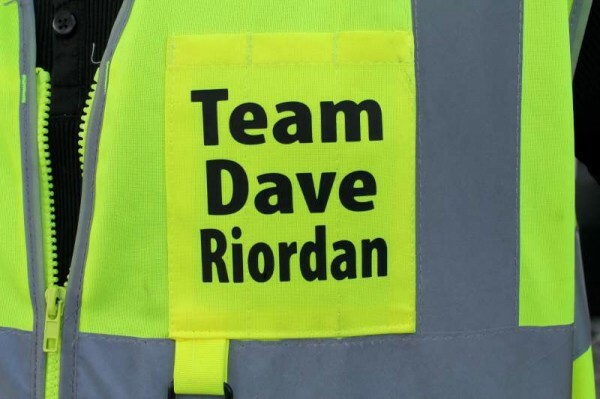 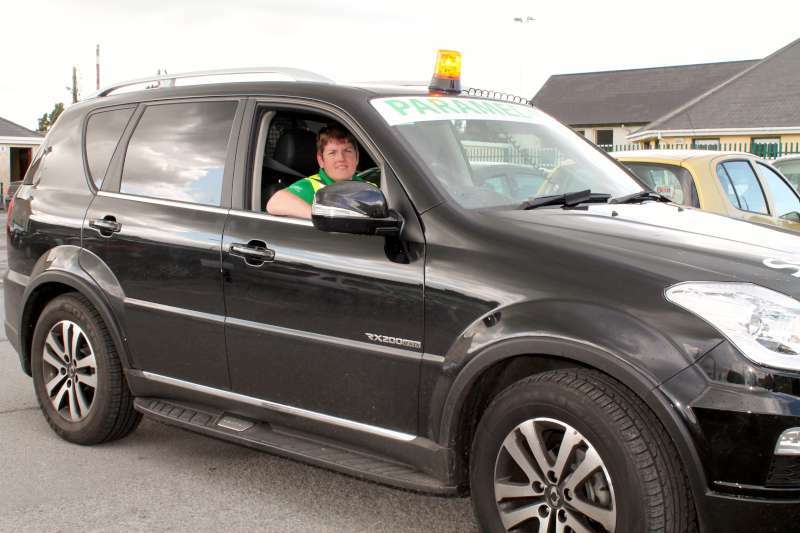 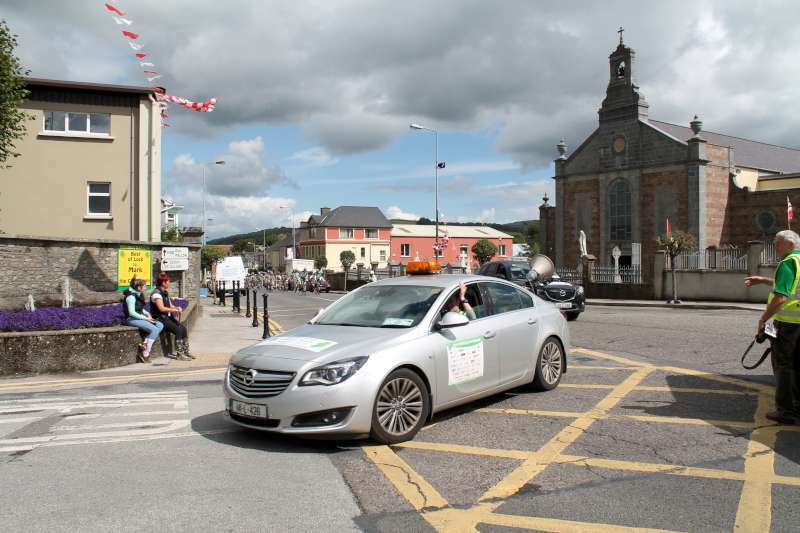 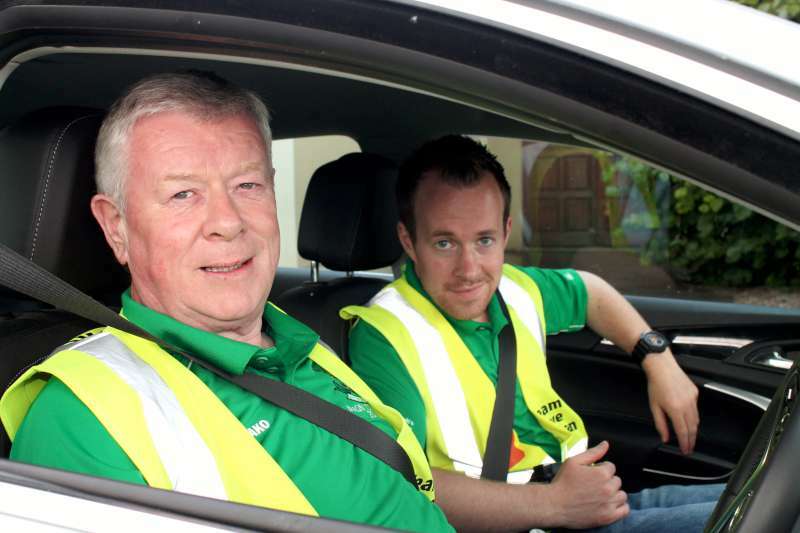 Let us now share some 92 more pictures of the Millstreet event and later we shall share Kevin O’Connor’s very professional coverage of day five of the amazing Charity Cycle. 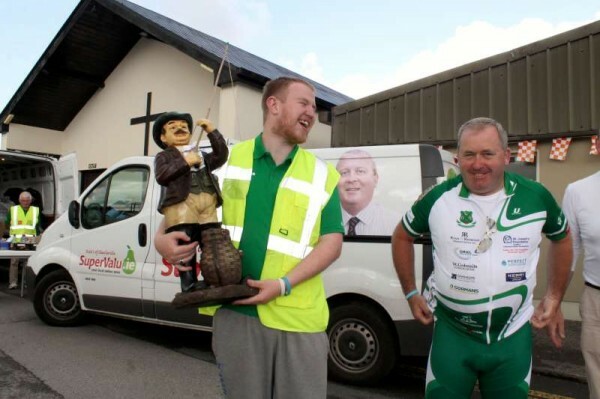 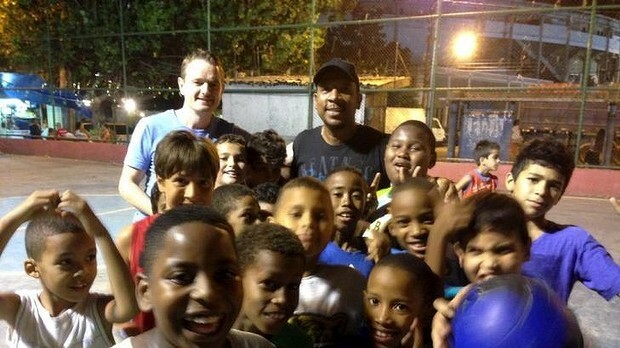 We thank Kevin for sharing this most interesting link.